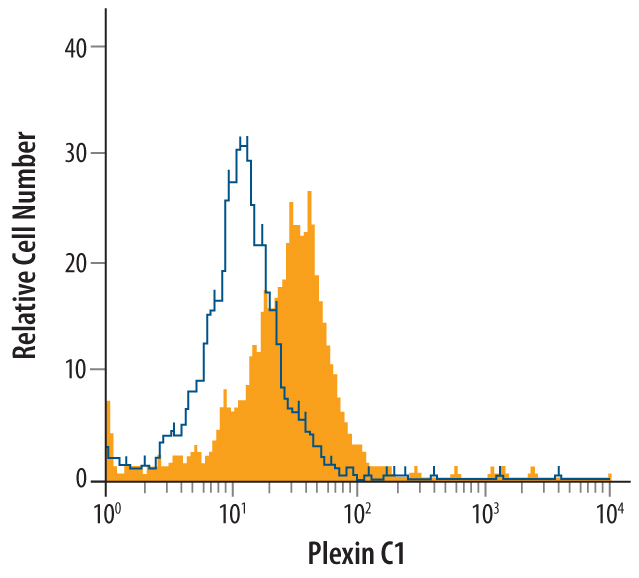 Plexin C1, also known as Virus-encoded semaphorin protein receptor (VESPR) and CD232, is a 210 kDa type I transmembrane glycoprotein in the C subfamily of the Plexin family. Human Plexin C1 contains a 34 amino acid (aa) signal sequence, a 910 aa extracellular domain (ECD) with one Sema-domain and two cysteine-rich Met-related sequences (MRS), a 21 aa transmembrane domain and a 603 aa cytoplasmic domain that includes features common to other plexins, including a phosphothreonine site. 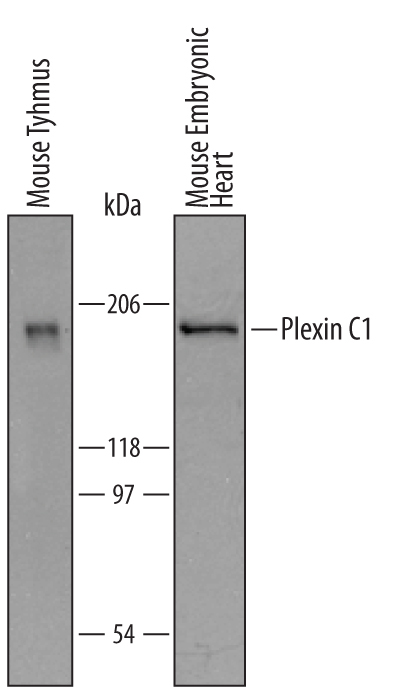 The human Plexin C1 ECD shares 85%, 82% and 71% aa identity with murine, bovine and opossum Plexin C1, respectively. 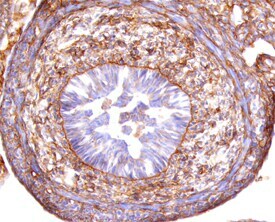 Plexin C1 is widely expressed in neuronal and non-neuronal fetal and adult tissues. In neuronal development, its role is unclear. 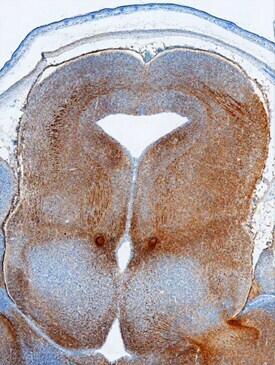 Semaphorin 7a (Sema 7A, CD108) binds Plexin C1 in vitro, and the two show a similar expression pattern during rat neuronal development. However, in rat, beta 1 integrins rather than Plexin C1 appear to mediate Sema 7A effects on axon outgrowth. Plexin C1 does appear to play a role in the partitioning of paraventricular and supraoptic neurons in the hypothalamus, as indicated by specific defects seen in mice deleted for Plexin C1. 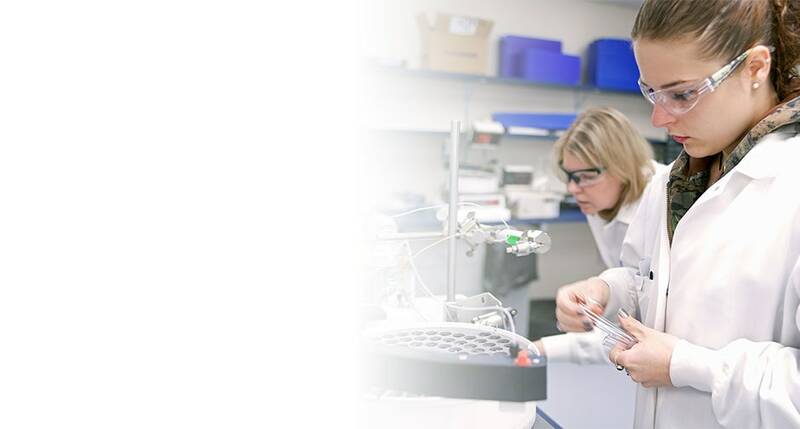 In the immune system, effects of Sema 7A on T cell-mediated inflammatory responses also appear to be mediated by beta 1 integrins rather than plexins. 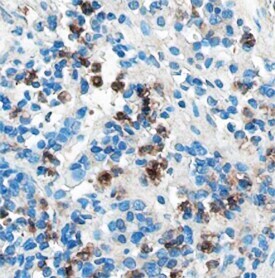 However, Plexin C1 may function to oppose the effect of beta 1 integrins, as it does on Sema 7A-mediated spreading and dendrite formation in melanocytes. Plexin C1 is the receptor for the poxvirus (A39R protein) and herpes virus (AHVsema) semaphorin homologs, and mediates activation of monocytes and inhibition of dendritic cell and neutrophil phagocytosis by A39R. 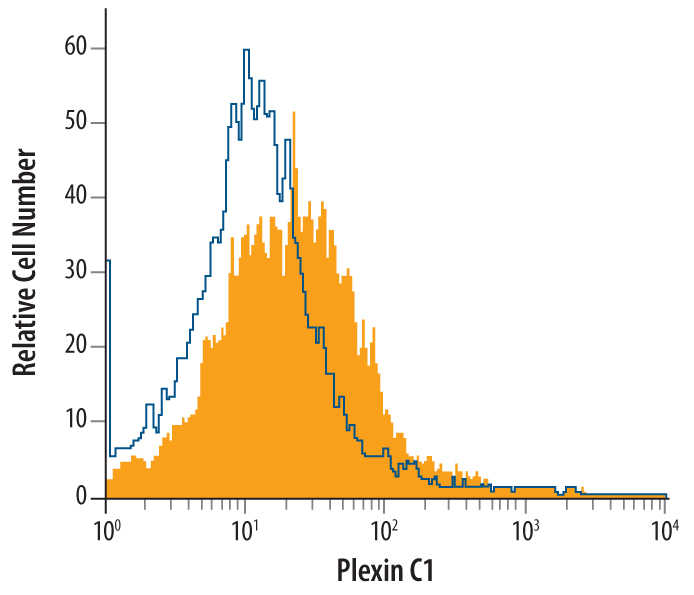 "Plexin C1" has 7 results in Products.